As robotics become increasingly prevalent in all sectors and expand outside the manufacturing industry, it is no surprise that IDC predicts worldwide spending on robotics to reach $103bn in 2018. 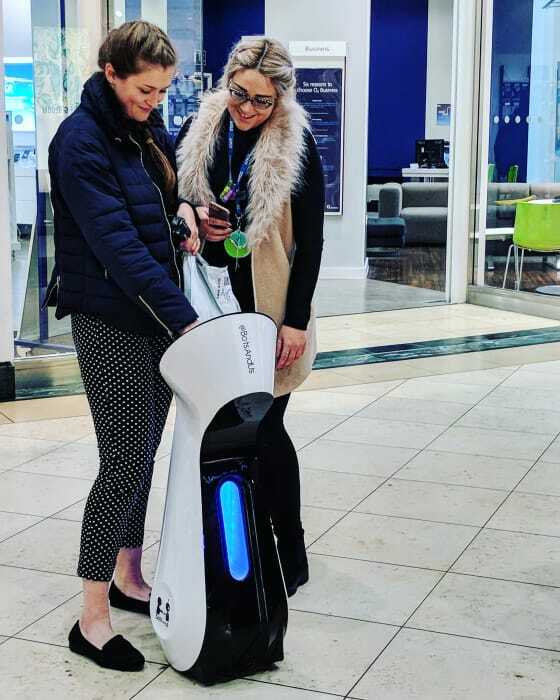 A UK based startup, BotsAndUs, are looking to capitalise on this opportunity and have created an advanced social robot – Bo – primarily for use in hospitality and retail scenarios. Bo has already been used in numerous scenarios and by some large brands including BT and Etisalat as well as being trialled in large UK shopping centres such as Lakeside. Creating a social robot that also has AI capabilities for advanced face to face interaction is no easy feat especially when a combination of hardware and software, including a RealSense Depth camera system and ROS, needs to be seamlessly integrated. For that reason, BotsAndUs required a widely supported and versatile OS so turned to Ubuntu to build Bo. Download the case study below to find out more about how Ubuntu eased BotsAndUs path to production.